Orange Family Physicians provides comprehensive health for every member of your family with services ranging from a newborn check up to management of chronic illness in the elderly and every age in between. Walk-In Services available Monday-Friday 8 a.m. – 5 p.m.
• Annual Wellness Checkups – This once yearly preventative health exam is completed with a patient who is not presenting any symptoms of an illness in order to provide the physician with a baseline for healthy behaviors. During this visit discussing healthy life style habits, diet, exercise, social life, and medical history to provide a complete medical history for the physician. In using this service discussing preventative services with your physician can help keep you healthy by preventing disease or detecting a health problem in its early stages when it is easier to treat. Lab work or additional testing may be included in this visit. • “Follow up” on Chronic Illness – Visit used to review chronic problems, adjust or change and refill medication, and review or complete lab testing. This visit can be at least twice yearly and will vary from patient depending on their disease process and diagnosis. • Welcome to Medicare Exams preventive visit – This visit can only be used within the first 12 months of the patient having Medicare Part B. This visit includes a review of your medical and social history related to your health and education and counseling about preventive services, including certain screenings, shots, and referrals for other care, if needed. This visit is covered one time. • Comprehensive Medicare Annual Wellness Visit (AWV) – For patient who have Medicare Part B for longer than 12 months, this visit is used to develop or update a personalized prevention help plan to prevent disease and disability based on your current health and risk factors. This visit will covers topics including a review of your medical and family history, developing or updating a list of current providers and prescriptions, detection of any cognitive impairment, a list of risk factors and treatment options for you, and other services. This visit is covered once every 12 months. • Gynecological Exams (Well Woman Exam) – Beginning at age 21 and lasting until age 65 a female gynecological exam is a preventative health measure offered to woman to review their reproductive health. This health checkup can include a breast exam, pelvic exam, and Pap smear. Reoccurrence of this exam varies depending on patient’s health status. 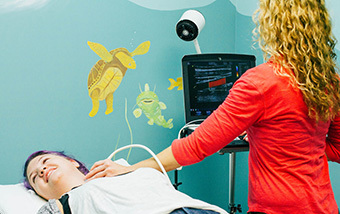 • Well Child Exams/Well Infant Exams – This preventative health visit is used to measure that children are meeting their growth milestones as well as used for promoting safety and healthy life style. Often immunizations are acquired during these visits.